Babysitter, housecleaner, drugstore and soda fountain clerk, mom, teacher, school counselor, and private practice therapist is my evolution of employment. Some jobs required no writing skills, the rest were inundated with papers and reports. Nothing in my work history trained me for the writing I am doing today as an author, columnist, and blogger. 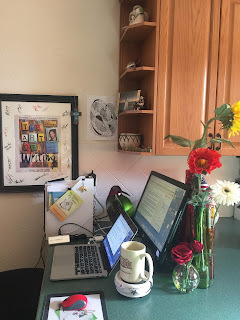 I had a former boss who would answer a question with, “…because it is your J-O-B!” I ponder his mantra today, because I am a stay-home writer with no boss or job description. My sister, who had the privilege of being a stay-home mom, said, “I look at it as if I had outside employment. 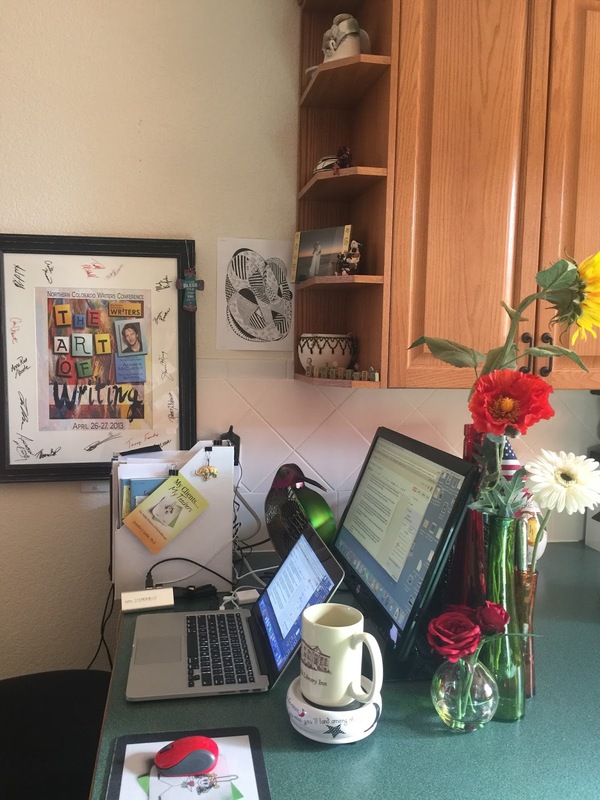 I set the alarm for 6:00 a.m., dress for the day, start routine tasks, take a lunch break, and shift gears when 5:00 p.m. rolls around.” Raising kids and maintaining a home was her J-O-B. A non-writer has no way to understand quality writing. It takes skill, time, courage, and creativity. It is our J-O-B to create a schedule and tell friends and family when we are working. It is my fault if I’m writing late at night because I gave my prime time away and still have deadline to meet. As writers, we can build similar benefits without the prison bars. We simply need to respect what we do, and act like the CEO of our company - which we are. I am going to create an office space, dress for work, and show up to the office - small as it might be. After all, I don’t want to get fired, and I might even get a $$$$$ promotion. How do you show your J-O-B respect? I do working breakfasts and working lunches. The only time I take a break is when I brush my teeth after breakfast, make a pit stop, work out, fix something to eat, or do other necessary household chores. I find I get a lot more done that way. It may sound like I'm working too hard, but I don't work evenings or weekends unless I absolutely have to, and I take that time to relax with a good book or podcast.